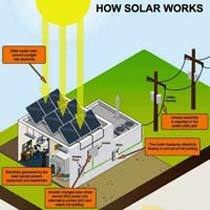 A Solar Home Lighting System provides solar power for operating electrical equipment at the domestic level. These Solar Home Lighting Systems are powered by solar energy using solar cells that convert solar energy directly to electricity. We manufacture and export high quality Solar Home Lighting Systems which are in high demand the global market. Our products are reasonably priced keeping in view our clientele base at home and abroad.